Becoming a Dental Care Rx Participating Provider is quick and easy to do and a great way to expand your practice's patient base. The Dental Care Rx plan is a reduced fee-for-service dental plan. Patients pay your office directly based on the plan's Fee Schedule. There is NO CHARGE for your practice to participate. RECEIVING IMMEDIATE CASH FLOW decreasing collections time and hassle because payment is paid in full at the time of service. HAVING A MEMBER SERVICES DEPARTMENT that is quick, friendly and ready to support you and your staff. By making procedures more affordable through our plan, patients are able to obtain the care they need and are glad to choose to become and remain patients in your practice. 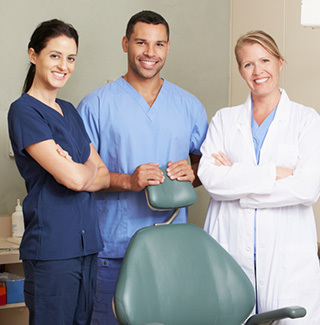 We invite you to become a Dental Care Rx Participating Provider today! Simply fill out the contact information to the right and we will send you the short Provider Agreement Forms needed to join. If you rather, you may call us at 1-877-579-9696 or 678-714-9906 or you may email us directly at info@dentalcarerx.com. Dental Care Rx looks forward to partnering with your practice to bring more patients quality care with an affordable, simple, and easy to use plan. Giving everyone Savings and a Smile! Want more information on becoming a provider? Please fill out the form below and we will be in touch with you soon! Disclosures: The dental, vision, chiropractic and prescription discount plans are NOT INSURANCE or a Medicare prescription drug plan and do not make payments directly to service providers. Members are obligated to pay for all services rendered. Members will receive reduced fees on all services from participating providers and the discounts will vary depending on the provider type and services received.